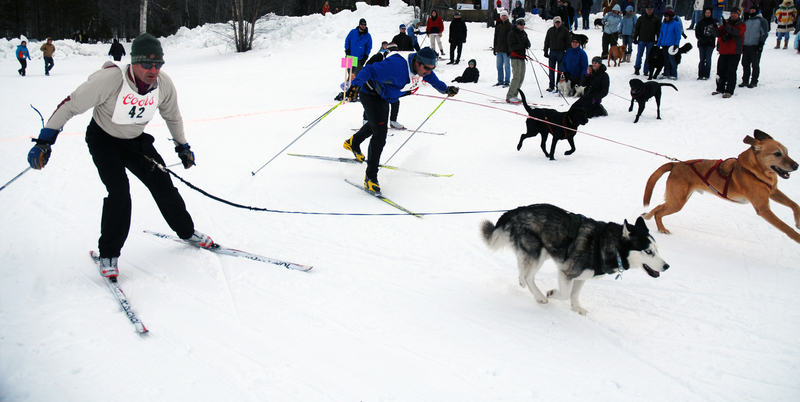 Saturday I covered the fifth annual Doggie Skijoring event in West Glacier. Skijoring is when a person skis while being pulled along by a horse and rider through an obstacle. This was the dog version. What a riot! 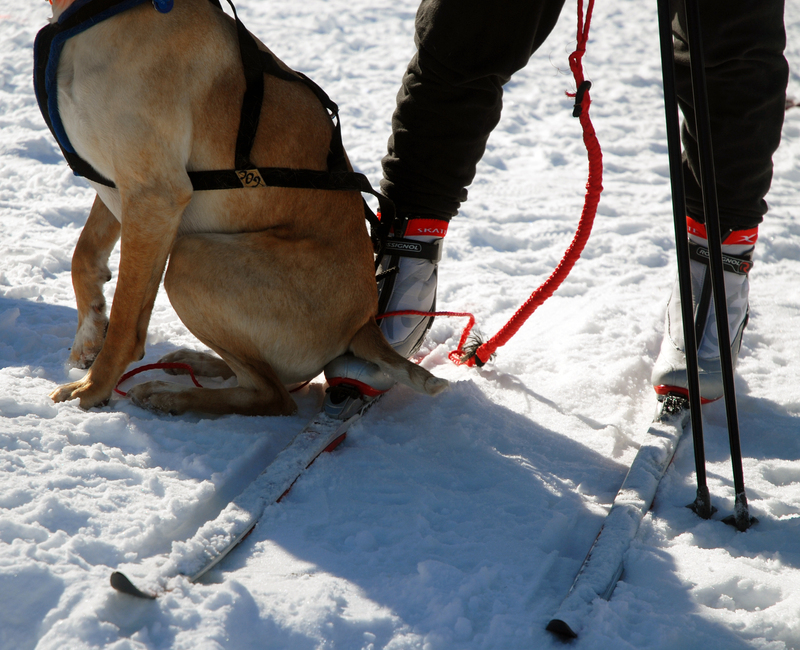 Watching people cross country ski while pulled by their furry friends is a sight to behold (not quite as epic as real skijoring, but pretty close!). It was funny to watch some dogs try to figure out what exactly they were supposed to be doing to varying degrees of success. Some dogs took right to it, while others seemed more intent on trotting alongside their owns or stopping entirely to scratch and sniff. Hands down my best photo of the day. 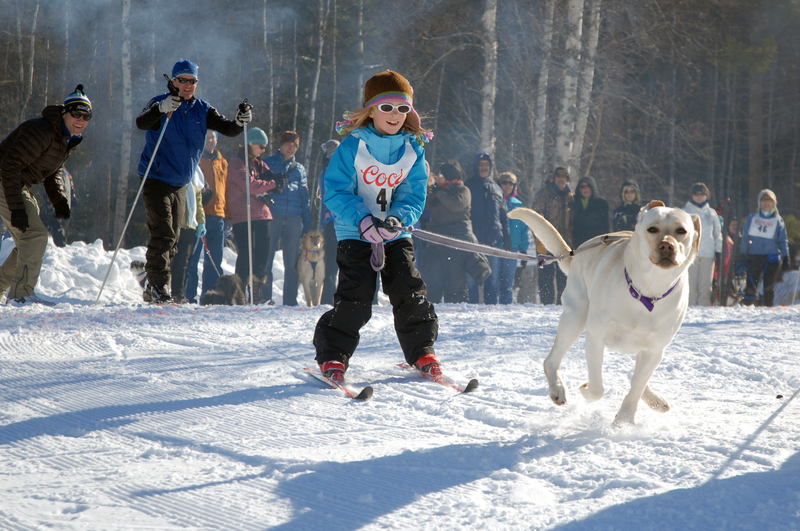 Little 8-year-old Kendall with labrador Chappy was the youngest competitor. Girl and dog were having a great time! Even puppy butts get cold in the snow! Ruger the mutt found sitting on his owner’s boot was more comfortable than the chilly white stuff.